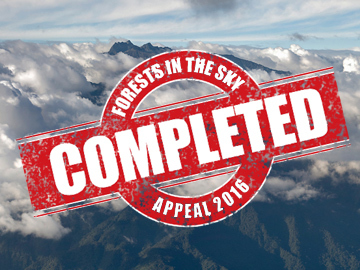 World Land Trust (WLT) is delighted to announce that the £500,000 target for the Forests in the Sky Appeal has been reached, thanks to the incredible generosity of WLT supporters. The funds raised are being used by WLT partner Fundación EcoMinga, to purchase vital properties in the eastern Andes of Ecuador, forming a biological corridor for a wealth of wildlife to move safely, between Sangay and Llanganates National Parks. 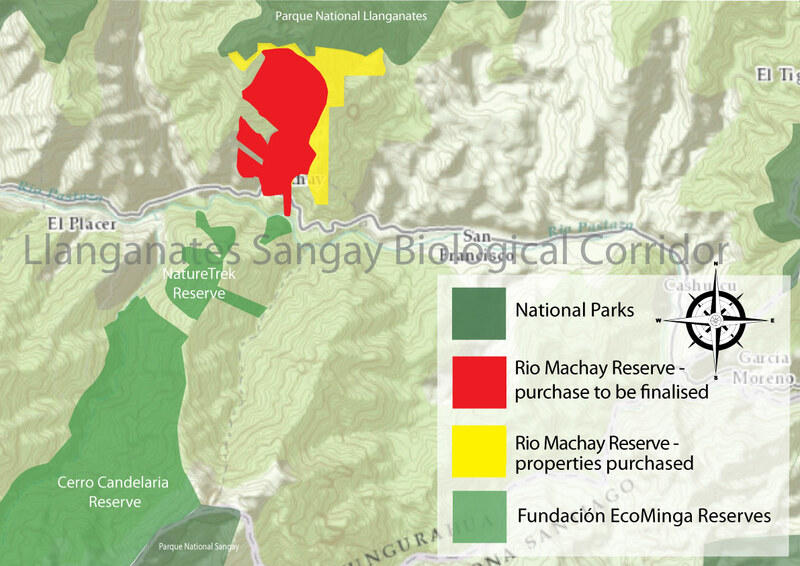 The protected areas will be collectively known as the Rio Machay Reserve, after the watershed of river that flows through the region, and provides essential habitat for a range of Ecuador’s most rare and threatened species around the Cerro Mayordomo region. WLT will continue to raise funds to help EcoMinga secure this whole reserve area by 2017. EcoMinga Co-Founder Lou Jost and Reserve Manager Juan Pablo Reyes have wasted no time in exploring the newly purchased areas, joined by rangers Fausto and Luis Recalde, whose positions are funded by WLT’s Keepers of the Wild programme. 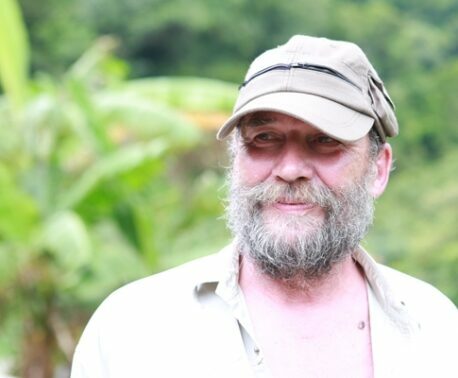 Although Lou spent time exploring the wider Cerro Mayordomo area between 1996 and 2004, he has returned with eyes that have been trained through twelve additional years of exposure to the amazing plants that occur in and around EcoMinga reserves. Juan Pablo, Fausto and Luis recently started clearing the existing trail, extending it from 1,500 to 2,200 metres above sea level. While taking a lunch break they chanced upon several rarely seen plants, including a species of magnolia and two rare orchids. 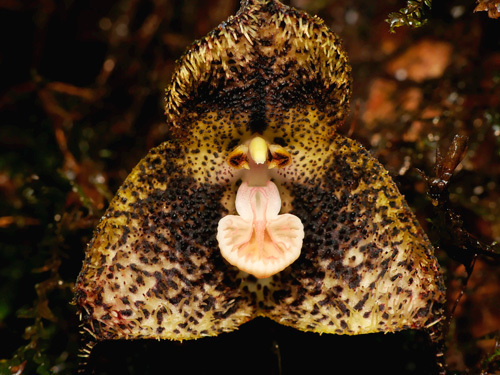 One of the orchid species was from the Dracula genus, so-called because of the blood red colour typical of this genus, and the other was Masdevallia teagueii, an orchid with a trap mechanism like a Venus Flytrap. Neither of these species has been seen before by EcoMinga workers in the Baños area, barring the easternmost mountain of Cordillera Abitagua. WLT congratulates Fundación EcoMinga in achieving this milestone in Ecuadorian conservation. The ‘customers’ of the corridor, which include Mountain Tapir, Spectacled Bear and woolly monkeys will now be able to move safely and find new horizons. 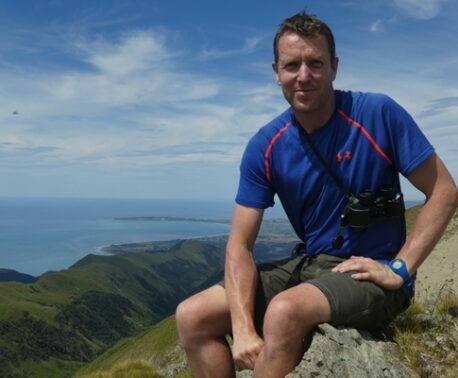 We join Steve Backshall in saying a huge thank you to everyone who contributed to the Forests in the Sky Appeal. With your help this long awaited corridor is a reality.